Warning: Major Spoilers for Young Justice: Outsiders episode 13 follow! The last of Young Justice: Outsiders' newest episodes for the week is tiled "True Heroes" (S3E13), and it closes the first chapter of the season by finally picking up on one of its earliest dangling threads: the fate of Princess Tara Markov. Tara was abducted in the two-year gap between Young Justice: Invasion and Outsiders - a victim of the metahuman trafficking ring operating in her homeland of Markovia. Tara surfaced again in episode 6, "Rescue Op", as the titular target of a rescue mission that her brother Geo-Force impulsively rushes to carry out, alongside his new teammates Forager and Halo. That mission led them to Ra's Al Ghul's headquarters, where there was another epic battle. Ultimately, the "rescue op" ends with Ra's revealing that though Princess Tara was abducted by the League of Shadows, he is no longer running the group, or part of The Light, and therefore doesn't have her. A prelude scene to the episode showed that Tara was using her metahuman power to control earth as a deadly enforcer for the League. In "True Heroes" Nightwing's splinter team of Young Justice Outsiders gets wind of an illegal auction of meta-teens taking place, and the YJO squad decides to infiltrate the event, hoping to rescue even more of the enslaved children. The auction brings out some serious bad guys (like evil psychic, Simon), but also reveals that Princess Tara is indeed on location, forced into a cage match with another young meta-teen. Tara loses the match, which affords the Young Justice team with an opportunity: the team disguises themselves as would-be buyers, and bids on Tara to become their latest acquisition. An end scene reveals Tara sadly accepting her new fate in climbing into the limo with her new masters - only to discover it's her brother Prince Brion. The Markov siblings hug it out, enjoying the happy reunion. An epilogue scene for "True Heroes" reveals Deathstroke at The Light's base of operations in Santa Prisca. Deathstroke receives a single text message, which simply reads "I'm in." Fans of Teen Titans comics should instantly recognize this little 'button scene' as set up for Young Justice's version of "The Judas Contract", one of the series' most famous storylines. "Judas Contract" saw Tara join the Titans, only to reveal that she was actually planted on the team by Deathstroke, who used her as a spy to gather intel on the Titans and eventually kidnap them. The Titans were saved by Nightwing working with Deathstroke's metahuman son Jericho, who has the abilitiy to possess others. When Jericho used his power to control Deathstroke and free the Titans, Tara (or "Terra") went insane from perceived betrayal and pulled down the entire base, killing herself in the process. Her villainy was hidden from Geo-Force for many years afterward. It seems as though Terra's betrayal will be a major part of Young Justice: Outsiders' next chapter - and we cannot wait to get to it. Despite Judas Contract being a DC Universe animated feature, this Young Justice adaptation has developed so many great characters and bonds that the betrayal will be heavy drama - and the action-packed fight against Deathstroke will be epic! 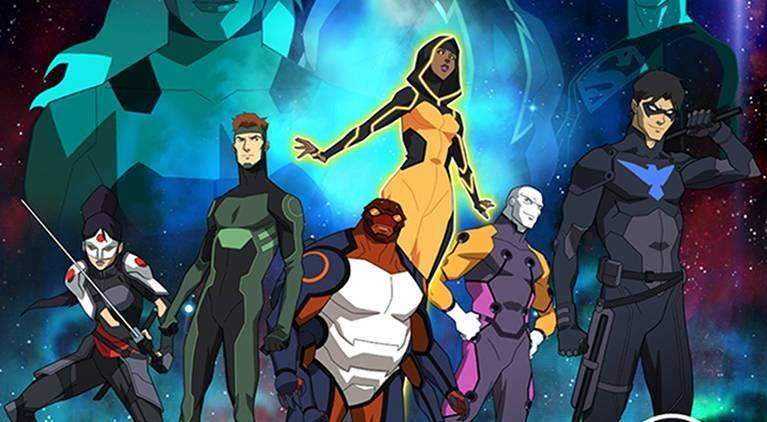 Young Justice: Outsiders streams new episodes every Friday on DC Universe.